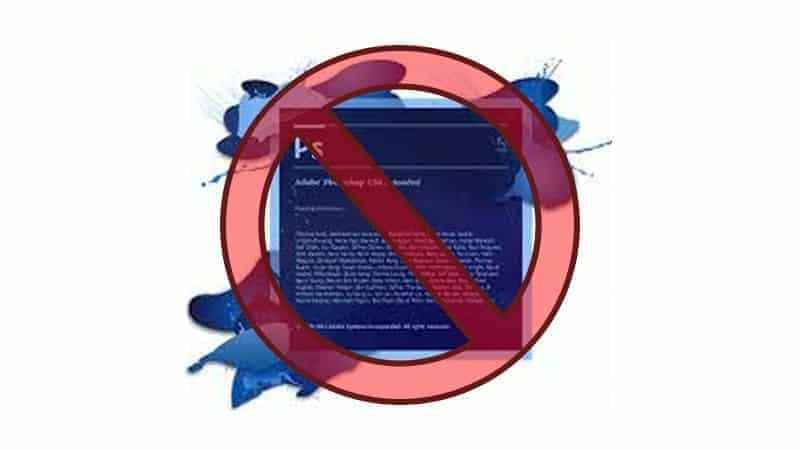 Why I am not supporting CS5 and CS6 from now on. It is with great discontent and heartfelt apologies for anyone running Photoshop CS5 & CS6 that I say, “I am throwing in the towel”. For the last 2 months I have been trying to figure out how to continue creating CS panels. However, my hands are tied behind my back at this point due to outdated software. By no means does this mean I will not continue to help with the installation of these items. It just means that I can no longer update them. When you see new versions of either Palette Effects of the Zone System Express, they will only be applicable to CC owners. A brief history on Photoshop Extensions. Prior to Photoshop CC 2014, extensions were built using the Flash Platform. Since then Flash has become a rather archaic form of development next to CSS and HTML. Adobe knew this was coming do from CC 2014 and beyond, Flash built Panels would no longer be supported inside Photoshop. The program we use to build CS5 and CS6 plugins is called “Configurator” (version 3 for CS5 and version 4 for CS6). It is a convenient little program because it allows drag and drop build functionality. Whatever you want on the panel you just drag in and rename and voila, you have a function on a panel. Of course, you can get pretty extensive with the panels and make some impressive custom built “software” for CS5 and CS6. While Configurator seems easy enough to create panels, there is a serious issue with it that just came to fruition in the last 3 months. The last edition of Configurator 4 came out in July of 2013 and has not been updated since. It is going on 4 years old at this point with no hope of being updated. Here is the problem. The process of creating a panel in Configurator requires the build process and a certificate signature. For the last year I have been using a valid certificate to sign the panels for all of the CC extensions as well as CS6 and CS5. As of April 6th 2017, I have not been able to get Configurator to successfully sign the panel so I can export it out of the program and give it to you. An example of the error message I receive when attempting to sign panels in Configurator 4. I get an error message that states there may be something wrong with the password for the Certificate. However, the same certificate worked flawlessly before April 2017. The same certificate (and password) will successfully sign a CC extension. Why would a certificate that once worked flawlessly now discontinue to work? It is a mystery. A Phone call to Adobe left me speechless. “We do not support Configurator, that is an Adobe Labs product”. There is no contact information for Adobe Labs and the forum is littered with people having the exact same issue I am. What have I done to try and correct the issue? I contacted an individual who has been making panels for Photoshop for over 10 years. His assumptions is there is some kind of timestamp inside Configurator 4 (also Configurator 3) that may have expired which means it will not successfully sign the panel for exporting. I have tried “Tricking” the signing process by exporting the Panel as a group of files (not an extension), organizing the files like a panel, and signing it like you do a CC application. That failed epicly! I have tried updating the ZXP sign Command that comes with Configurator with the newest one for CC. That didn’t work either. I thought maybe it was just my PC. So I tried the whole process on my other PC for testing purposes. I tried it on my Laptop, I tried it on my Wife’s Laptop and I even tried it on a laptop that has not been connected to the internet in over 2 years. I also tried to reset the time on the PC’s to 2014 to try and trick the Timestamp. None of that worked. I sent all the files to Jake, he tried countless ways to sign the panel for CS6 using both Configurator and the Adobe Exchange. That didn’t work either. Beyond all of this. I have heard that many developers are no longer creating Flash applications as it is a “thing of the past”. My safe assumption, unless you know something I do not, is that there may be no hope for Extensions for CS6 and CS5 from here on out using Configurator. So now that the doom and gloom is over, what is the way ahead? Well, I suggest moving to Photoshop CC if you are an avid Photoshop user. I know, I know, there are a lot of people that are entirely against Photoshop CC, however, hear me out. If you find yourself using Photoshop every day, it may be a good idea to jump on the Photoshop CC plan. At $9.99 per month with the Photographer’s plan, you are getting access to 2 of the most invaluable pieces of software on the planet, Photoshop and Lightroom (Lightroom may be debatable, hehe). Prior to the CC plan I was spending hundreds of dollars every year to stay up to date with the latest and greatest. But now it is more affordable than EVER before. HTML Extensions like Palette Effects and the Zone System Express run INCREDIBLY fast. On CS6 there is lag time between button presses, but on CC, it is lightening quick. -A ton of new features since CS6. Afterall, CS6 is over 5 years old now. Updates are more frequent. They used to be every 18 months or so, but now they have a few that come out every year to ensure the programs are running optimally. While it is called the Creative CLOUD, you are not operating in the cloud. You have access to everything on your computer and to be honest, I have never even used any of the “cloud” features. Regardless of what your foil hat wearing friends may tell you, Adobe does not have access to all of your files because it is on the cloud. Your images are SAFE and no one is trying to steal your identity. You do NOT have to be connected at all times to have access to Photoshop CC. I am using it right now on my laptop that is not connected to the internet. However, every 3 months or so you do have to log into your account to register the device you are on. An example of the sign in window you may see from time to time. I am not giving up on my support for the current PE and ZSE applications for CS5 and CS6 users. I am still here to help. However, I can no longer update the extensions I create for CS5 and CS6. As outlined above, you can see the extent that I have gone through to try and keep that support available. At this point, I have to throw in the towel, 48 man hours is a lot of time when you are the only man operating the business. I highly encourage you to consider Photoshop CC. Out of all of my surveys, I have found that only about 8% of my users are currently operating with CS6. If you are an avid ‘shopper I would imagine you would find great benefit from your move to CC. The water is nice over here and the extensions I create operate flawlessly in CC. It is the nature of technology. I use cc now cs5 just can’t hold a candle to cc. I built a pc that is no longer at the top of latest specs but would render pretty fast if I had the need to use adobe after effects. Still shooting a old 7D, one day I move up to a full frame astrophotography on a older crop sensor just can’t get me where I want. I guess it boils down to as we evolved so does our processes and tools. Thank you Blake the helpful information you provide. And Congratulations on your new family arrival, that cute little guy. Yeah, it is the way of technology. It just kills me to have to do this. I have been a long time supporter with PE and the ZSE for anyone running CS5 and 6. But recently, I cannot get the programs to work that do the job, so I can’t let that stand in the way of innovation. It’s the nature of the beast. Look at Windows – they stop supporting old software, as do every other software house. Your reasoning is absolutely valid and to your credit you have spent many man-hours trying to help CS5 & 6 users. Major software houses would not do this – they’d just say “sorry we don’t support those versions anymore”, end of, basically. That is true, I guess I never thought of it that way. It still pains me to think about it, though. I don’t like giving up, haha, hence the 48 working hours, lol. Of even greater, or similar concern than computers and software: how is the wiring in your home? Some owning an older house, considering buying a house or even building a new house don’t consider the constantly changing technology needs and are now having to make costly updates in order to connect to the internet, television, etc, to their home. Exactly! You never know what that wiring looks like. Our home inspection went well, though. Hopefully, we are good for a while! I have been using your tutorials for a long time now. Being a disabled veteran with more time than money, I will still continue to use cs6 extended version as I am getting to old and I can do all I need with current program. My question is, Will the links to your past tutorials be available as I save them all to refresh my memory. Absolutely, the tutorials will remain the same. This only pertains to the ZSE and PE programs I have created. Some sites will offer a 20% discount to their premium members off of the cost of any Adobe Creative Cloud plan. I know absolutely that KelbyOne offers it to their members and I’m pretty sure that On1 offers it to their Plus members as well, although in full disclosure I was not able to find the page for their partner discounts. A number of educational sites have this offer posted so if you are interested in signing up, check any sites you may have a membership to and see if you qualify for the discount. The discount will reduce the Photography Plan to just $7.99/mo! Lol, I know. I spend $10 a month on a lot of stupid stuff. CC is a no brainer for me. Don’t know how long it will continue – but CreativeLive.com just wrapped up a PhotoshopWeek and part of it’s promotion had the Adobe LR-PS deal for $7.99 and it’s still available. Thanks, Jerry. I have done everything in my power to get this up and running again for CS apps. However, technology has me bound. Believe you me, if there were a way to correct it, I would. The nature of the beast, I guess. Thank you for your understanding! I have used Photoshop for 25 yrs. and I have been increasingly unhappy with their foreign tech support. I was so glad to see On1 Photo, On1 Photo Raw, On1 Effects, Affinity Photo, Luminar, Aurora HDR Pro, Topaz, and other Macphum software products, step up and create better software than Adobe, which enables me to stay as far away from Adobe as I can. Adobe does not show me that they have any interest in helping their customers with their foreign tech support that they offer. Their main interest is to lock you into their lease program, by not supporting the previous software, they may call this progress by boosting their bottom line and reducing support for the software you have. So Blake, THANKS for your support in the past, GOOD LUCK! I just bought your new panel. If I had known you wouldn’t support it for CS6 I would not have made the purchase. After the tens of thousands of dollars that I’ve given Abode over the years; I am not comfortable with their “software subscription” service. Nor any “softare subscription”. Really disappointed. The software you own that I have created will still work. I just cannot provide any updates. It will still function, and I am still here to help. I just can’t do much outside of that. I never understood why people are against CC, it is cheap and well supported! I couldn’t agree more 10000 times. I really don’t understand it either…especially for the Photography Plan. People blow $10/mo many times over during a month but want to protest how Adobe is ripping them off. Absolutely ridiculous. I have been a member of the full Creative Cloud plan ever since it came out. I use a number of Adobe applications in addition to PS/LR, but even at $50/mo it is a great deal compared to spending $1500 to upgrade a CS version every couple years. Paying $600/year and still finding great value, I obviously have a complete disconnect with those who are calling it a rip off for $10/mo. And I too am retired and disabled, but this is a priority for me so I make it work and skip some other stuff. I must admit, I have never liked Photoshop. It has never been intuitive for me and I always have to go back and re-learn simple tasks. Lightroom, on the other hand, has been my favorite since the very 1st Beta. I have had every version of PS and LR up to, but not including, CC. Now, since CC, I am finding that many other companies are making great software and I am seeing less and less need for CC and starting to lose faith in my favorite LR6. I also see that I am not the only one starting to give up on Adobe for the likes of On1 Raw, DxO Optics Pro, etc. I’m sorry, CC is not my cup of tea! No problem! I am glad you have a workflow with other tools. That is all that matters! Hi Blake, I fully understand that you have to keep up with the ever changing technologies as it is the core of your business. Photoshop CC is unfortunately just too expensive in my part of the world (South Africa) … our currency is getting weaker due to the current politics of the land. Congratulations to you and your wife on the arrival of your new addition to the Rudis family. Good luck with the night shifts !! …. been there, done that …. got the T Shirts ! Good Luck and thanks … Looking forward to your next session on On1 Plus. Ugh! That stinks about the conversion rate. I appreciate your words though, about my teaching style. The free tuts will keep coming, there is no problem there. Enjoy them and apply them where and when you can! I currently subscribe to Adobe’s Photographers plan for Photoshop and Lightroom CC. I used to be dead set against going the subscription route because I just knew they were trying to gouge more money from their customers. I used Lightroom stand-alone and an old version of Photoshop Elements and, while I used Lightroom daily, I did not use Elements enough to even bother upgrading to the current version. I was convinced I’d never subscribe to Creative Cloud. Then last year some of the CC-only features in Lightroom (Dehaze effect and the Guided Upright tool) started to tempt me. Plus, my photo buddy was already using LR and PS CC, and we find it convenient to use the same tools. We shoot together all the time and already have almost identical gear. Then I stumbled upon the annual discount deal that others have already mentioned, so I went for it. Have never regretted it. When you think about it, for the software you use all the time (such as Lightroom), you are going to pay for upgrades, anyway, almost annually (if you like to keep current). The annual subscription cost for maintaining the most current versions of BOTH Lightroom and the full version of Photoshop is a good deal (I now believe). I’ve started learning and using Photoshop much more, especially its Layers capabilities for night photography (astrophotography and light painting), which is what I’m heavily into at the moment. For me, paying annually rather than monthly is easier to swallow, but I’m sure just the opposite is true for others. So this long comment is just to maybe help the decision process for those thinking about going for a CC subscription. I agree 100% with everything here. So glad you found CC beneficial! Congratulations to the baby! I also bought the new panel. If I had known that would not support CS 6, I would not have made the purchase. This problem should have been communicated in advance. What about the Promise Lifetime Updates? Thanks, Ralf. this is something I did not know about before the release. It is only a recent issue. At first it was only a minor hiccup, but it turned into a major issue. You still do get lifetime updates. Anytime a new version is available. However, it will only be for CC. This is COMPLETELY out of my control and in the hands of Adobe really. Albeit, CS6 is now 5 years old. Some things just cant continue to be updated. What you hold now still works well and will have no problems throughout the rest of the life of CS6. I’m one of those cs6 holdouts. I’m not mad at Adobe. They have a great product. I just hate renting, although I may have to make an exception. I really like your panels. They allow me to do in seconds what would otherwise take much longer. Your tutorials are great. I look forward to them each week. Congratulations on the addition to your family. Keep up the good work. Gene, I’m not sure whether you are aware of this or if you have ever thought of it this way, but unless you are a person who NEVER upgrades your software (which I think none of us are) you are “renting” or “subscribing” to your software any way you cut it. If you buy a perpetual license of PS for $700 and you then upgrade to a new version when it comes out in two or three years, your monthly cost of “ownership”, “subscription”, “rental” or whatever term you care to apply is $700 divided by the number of months you used the product before paying for your next version upgrade. In other words, we have never truly OWNED software. We only lease it for a period of time in accordance with the license agreement we received at the time of purchase. It may SEEM as though you own it, but that is one of the great illusions of the digital era. How much have you spent over you lifetime upgrading not just software, but computers, printers, cameras, storage media, cell phones/smart phones, tablets, etc? Time and technology march on…and one way or the other, it costs us something paid in some manner if we choose to keep up. I fully understand and I have been hanging on to my CS5 just because it was the only way to use some plugins ie Topaz and Google NIK. But now there are new photo editors such as Affinity, On1 and a new Topaz Studio where I can access all my plugins, so goodby PS I really don’t need you now. Barbara, you can access Topaz and Nik plugins, and On1 for that matter, from both PS and LR CC. Not saying that switching to On1 or Topaz Studio as your core editing environment is wrong, just that you didn’t have to stay on CS5 for that reason. Wow. Some folks have the need to possess rather than borrow. To collect and “own”. The rest of us are content to “rent” our way through life. Our home, our car (lease), our videos and music. When we leave this world we don’t take our stuff with us. So spending 33 cents a day to access cutting edge software seems trivial. Blake, at this exciting time in your life you’ve expended way too much effort explaining an issue that affects just a few of your clients. But being genuine and sincere and going the extra mile is why I’ll always be a fan and supporter. Whether we like it or not, the future in the world of software is going moving ever faster to SaaS (software as a service)…or more simply put, the subscription business model. It is far more efficient for software publishers to develop and push updates to customers as the become available while allowing their company to maintain a more stable monthly cash flow. There will be alternative services that will be available for the foreseeable future as the industry is making this transition, but eventually this will be the standard way of doing business. Adobe and Microsoft have been two industry giants who have been early adopters of this technology and many of the bugs are being worked out in their offerings, but soon this will be much more widely adopted. First, congratulations to you and your wife on the new addition to your family. May you have many happy years ahead. Enjoy! So, I have CS6 and LR and have not gone to CC due to the reasons of which you have already heard enough. I have downloaded Palette Effects to my laptop and desktop, but, due to other obligations, I have not had a chance to put it to use. My question is this: If I bite the bullet and obtain CC, can I add Palette Effects from the download that I received, or must I purchase a new Palette Effects that is compatible and updatable in CC? I am sure I will like CC once I have it. Great effort on your part. I finally had to quit using CS6 and buy a 2nd subscription. It gives time to review alternatives like Capture One Pro. Any change would mean my investment in PS CC tools will no longer be useful. I am glad to see Adobe is finally putting a fork in Flash though. Topaz Labs is changing their software delivery process with their Studio product. I am also looking at getting back into the website development for my own needs. See the latest Petapixel news on 500px and its Fotolio connection. So, everyone, it is time to be flexible. Good luck Blake. TONE_COLOR_EFFECTS! hello I am lucky that I have and pay an extortionate amount for photoshop cc and lightroom (I don’t use lightroom but use camera raw in photoshop. I should get a discount for that but hey its only money that’s been fleeced off us I really don’t like the fact that you no longer for updates that they do not apply for cs5 and cs6. Are you offering a refund for recent purchases. Sorry if you have already covered this. I don’t have time to read all responses. its just like windows who will no longer cover vista windows 7 etc. I have just purchased your pallets and glad I have cc . I cant help the fact that your time is now limited to that what matters. To be honest I’m fed up with windows also and will need in future to have a mac simply to keep up with the enourmous amount of space needed on pcs. I am addicted to making things better. At the heart of what I do and who I am, I am a systems junky! I find more pleasure in developing systems than I do editing photos, haha. However, I have to edit photos to make my systems, right? I am sorry to hear that CS6 will not be supported any more.I will just have to use the Zone System panel version 5 as I am just an amateur photographer and can’t justify the CC version. Today Google announced they will no longer update the Nik Collection and will not support it beyond Photoshop CC 2015. Not surprising since they were not generating any revenue from it, but you can be sure many long time users will be very upset! Hi Blake, being a blogger on PS for years, I have had some good luck talking with Jeffrey Tranberry at Adobe about creating panels in the past. He was extremely helpful and might be able to get you the answers you are seeking. Good luck. Just read this email posting a month late. Blake you are to be commended for your honest, forthright explanation about moving beyond legacy Adobe Photoshop CS programs. A big thanks for that & all you do for us avid photo / Photoshop enthusiasts. Enjoy your family! Full disclosure: I’ve been a CC subscriber for years. I regularly use at least 6 Adobe software products in my “retirement” stage, Ps, Ai, Mu, Lr, Typekit, and Acrobat. I’d use their video software, but I really like Final Cut Pro X. As someone who supported a team of creatives with Adobe, Quark, Aldus, Macromedia, Apple and Microsoft products (plus others), my life would have been SO much easier if CC had existed in the 1990s and early 2000s. Begging for funds from a tight-fisted CFO to buy 8 licenses of the latest version of Creative Studio was far harder than learning Blend If. People click “Agree” to the license when they install software and somehow think that because they didn’t read it, they own that software. You only bought a license to use it and the media it came on, and that may be revoked at any time by the manufacturer. When Microsoft or Apple makes an operating system change that permanently disables the software functionality, you quickly discover what you “own”… you only own a right to live in the past, ignorant of all the advantages that have come with “renting” the present. I get a hearty laugh from the people who pay $$$/month to “rent” shows on Netflix, HBO, Starz, Showtime, and other TV channels, but won’t subscribe to CC because they want to “own” their software. Shouldn’t they buy DVDs of all those videos and “own” them instead? I lived for years having to beg for the latest upgrades, now I have them at my fingertips. I did the math: my annual subscription to CC is paid for by January 3rd every year by my part-time job as a marketing communicator for a small shop owner. The other 362 days, it’s free. It doesn’t get any better than that.